Crows Nest, on the Bluff Above Trinidad Bay, Spectacular View! Peace and tranquillity will be yours from the comfort of this charming beach house, with its wood burning stove and casual interior. The house is equipped with WiFi and a 42" flat screen LCD tv. Relax in the total comfort of the private hot tub overlooking the beaches and Trinidad Bay, where whales often play. A short walking distance brings you to the pier, beaches, small natural history museum, marine lab., restaurants and town center. 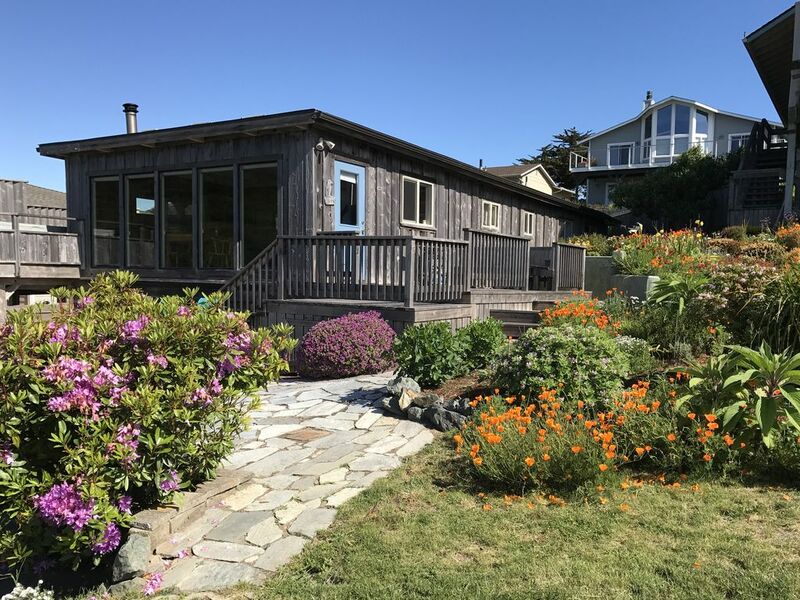 The house is 10 minutes from the Eureka/Arcata airport with connections to Portland and San Francisco. The house has one bedroom with a queen bed, and there is a queen size sofa sleeper.